Louisiana businesses are expressing anger and frustration after Senator John Kennedy (R-LA) announced the introduction of anti-net neutrality legislation that would legalize Internet fast lanes and new fees, and prevent states from enacting their own open Internet protections, which are essential for startups and small businesses that drive the states economy. 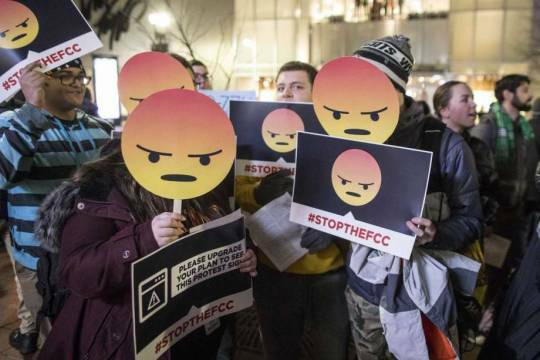 Nearly twenty Louisiana-based small businesses signed an open letter, along with more than 500 other businesses across the US, calling on Senator Kennedy and other lawmakers to support a Congressional Review Act (CRA) resolution to overturn the FCC’s repeal of net neutrality and restore rules that prevent Internet providers from imposing new fees, throttling apps and websites, or blocking online content. “Users and businesses need certainty that they will not be blocked, throttled or charged extra fees by Internet service providers. We cannot afford to be left unprotected while Congress deliberates,” the letter reads. Louisiana businesses signing include Anntoine Marketing + Design, Concurrent Processing Inc, CotingaSoft, EPK Louisiana, Lookfar, inDEPTH Media, Intuitiv Designs, Made in the Shade Blinds and More, New Orleans Secrets Tours, and The Parlor. See the full list here. Senator Kennedy has told Politico that he is still considering support for the CRA resolution, despite the introduction of this bill. Small businesses in his state, and millions of Internet users across the country, are hoping he will withdraw his legislation and instead commit to voting for the CRA, which would ensure protection from ISP abuses while Congress deliberates.